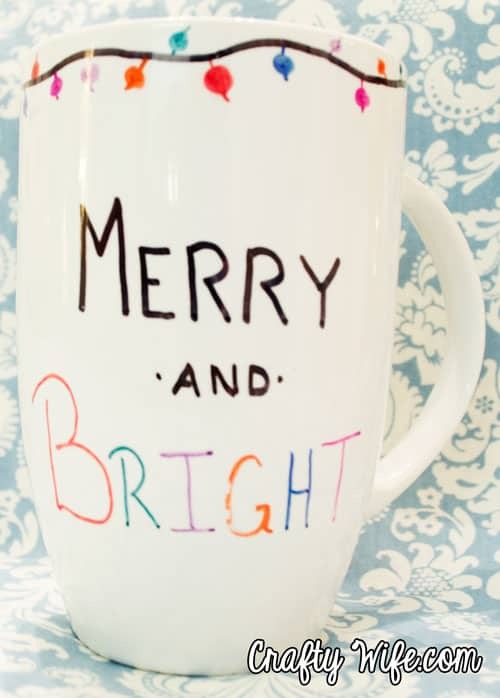 Has anyone else seen the pin on Pinterest where you can decorate mugs with sharpies? I’ve wanted to try it for a long time but every time I visited the Dollar Store to buy the mugs they were out of them. So when I went into Target and saw some on clearance I knew I had to grab them fast! The mugs were perfect, nice and large and great for a hot beverage! They were also cheap. And you can’t beat cheap. Set the oven to 350 degrees and “bake” the mugs for 30 minutes. Once they’ve “baked” you can wash them (gently handwash) and the design shouldn’t come off! If it does, just trace back over the design and bake it again. 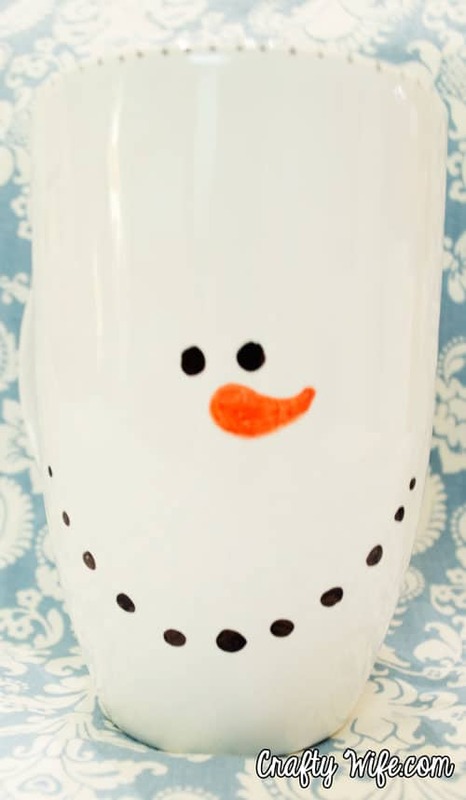 You can use stencils for whatever design you want on your mugs or you can freehand it like I did. If you mess up you can use a wet paper towel to wipe off the mistake and re-do it! It’s really that simple! 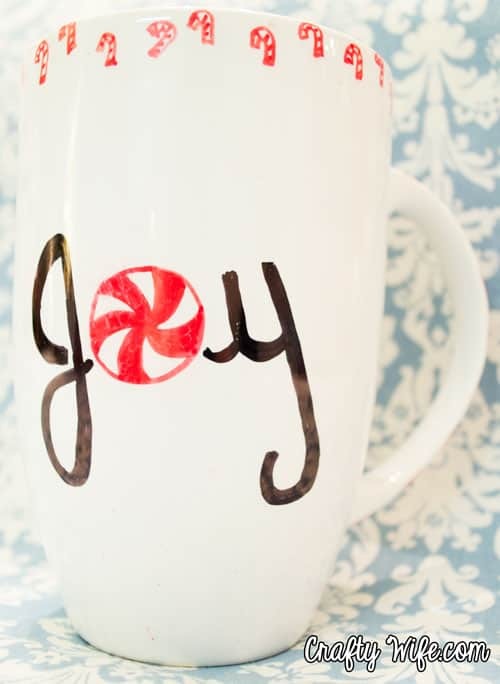 Have you tacked the sharpie mugs yet? They could also make a really cute gift for grandparents from the grandkids! I have tired 350 20 minutes and wore off in the dishwasher. So now read 450 and 30 minutes cool in over, then over night. Don’t know if that will work either as right now I am trying that. I have read sharpie paint pens are the best. Any tips on this? Everything I have every used has washed off in the dishwasher, so hand washing is the best option when trying to clean a mug like this.